We were out running errands when we saw this van. Since I was driving, I had my daughter take the picture with my cell phone. 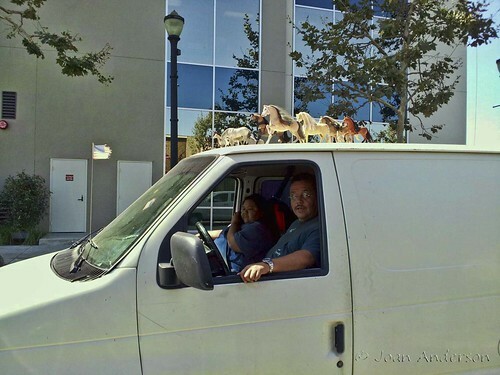 Although the encounter was too quick to get his name, the van driver was quick to point out that the horses glued to the top of his vehicle were not his idea—it was his father's handiwork. I decided his dad was just trying to increase his "horsepower."